Xizhou is a town located 20 km north of Dali Old Town in Dali City, part of the Dali Bai Autonomous Prefecture in northwestern Yunnan, China. 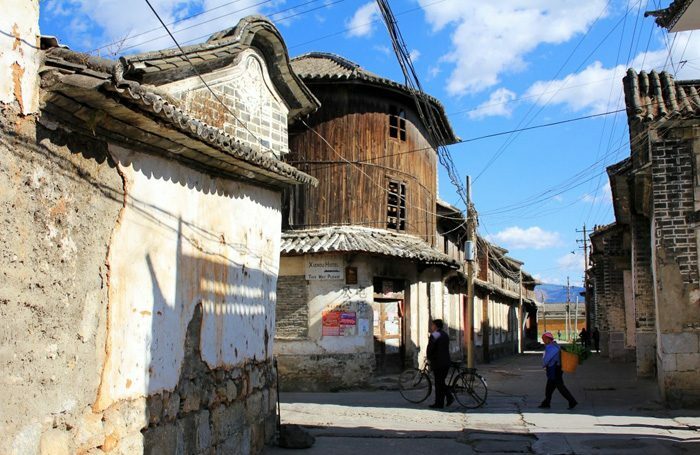 The town consists of 13 small villages with a combined population estimated at 2,500, mostly consisting of Bai people with a small population of Hui and Han residents. Xizhou has been historically important as a trading post along the Tea Horse Road, it was once home to a landing strip and radio station for the Flying Tigers during WWII, has been home to notable rulers and governors of local polities past and present, and has gained notoriety in modernity for its high concentration of preserved and restored traditional Bai architecture and protected heritage sites. Hosted by the Department of Culture and Tourism of Yunnan and the Dali Prefecture Tourism Department, the Xizhou Experience has been conceptualized and will be organized by our private sector partner, the Linden Centre – in collaboration with Destination Mekong. Linden Centre is also a 2019 Experience Mekong Collection Showcase Recipient. The highlight of the 2019 Mekong Tourism Forum will be the Xizhou Experience, and the option to interact in interactive learning and cultural immersion workshops. In order to create a most inclusive Mekong Tourism Forum, small businesses will provide interactive cultural workshops to learn and connect with the culture of the town, including tie-dye, felt making, woodblock printing, wood carving, baba/bread making, bai cooking, silver making, bai dancing, Mahjong with locals, and weaving. (Final selection of workshops will be determined closer to the MTF). Tie-dye: Make your own tie-dye cloth(es) learning the technique of pattern selection, stitching and working with plant-based dyes in a Bai family workshop. 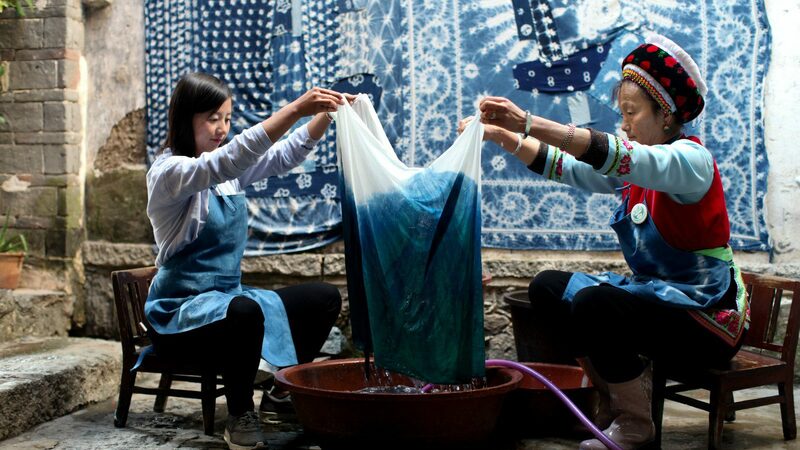 MTF 2019 delegates will be able to take turns to tie and dye small scarfs, and will also be taught the history of the tie-dying tradition in Dali. Silver crafting: For over one thousand years, the region of Dali has been producing exquisite silver works. Xinhua Village, north of Xizhou, is home to the greatest concentration of silver craftsmen. MTF 2019 delegates will be able to work with some of these renowned artists and hammer their own pieces of silver artwork. The main workshop will be on the street connecting the main square to the Linden Centre. Xizhou Bread Making: Baba is a type of thick, round, heavy bread that is prepared either plain or with various fillings. MTF 2019 delegates will be able to add numerous ingredients to create their own unique babas. We will present the history of the bread making to all guests while they are preparing the bread. All guests would enjoy a walking tour to explore the ancient town, and would be given an introduction to Xizhou and its history upon arrival (split into groups of 25-50). The main walking route will go from the Linden Commons via Xizhou’s main square to the Linden Centre and on to Lanxu in Chengbei. From there, the guests would be free to tour the village. The LInden Centre’s staff and volunteers will line this path to help guide visitors. The Linden Centre’s Dining Room and First Courtyard will host painting exhibition by Zhang Shaohua and stream movies made by Shanghai American School and our movie workshops’ children highlighting the history of Xizhou. Water and snacks will be provided in Centre’s dining room and on Centre’s terrace. Dali Town is a township-level division in Dali City, in the northwest of Yunnan province, China. The town contains the historic centre of the county-level city of Dali and is also commonly known as Dali Old Town. The modern centre of Dali City, however, is 10 km south of the old town at Xiaguan. Dali Old Town, first built in Ming Dynasty, is a historic town with rich culture. It is also the ancient capital of Nanzhao Kingdom and Dali Kingdom. Now, it is the treasure land of Bai ethnic minority showing their traditions and culture. 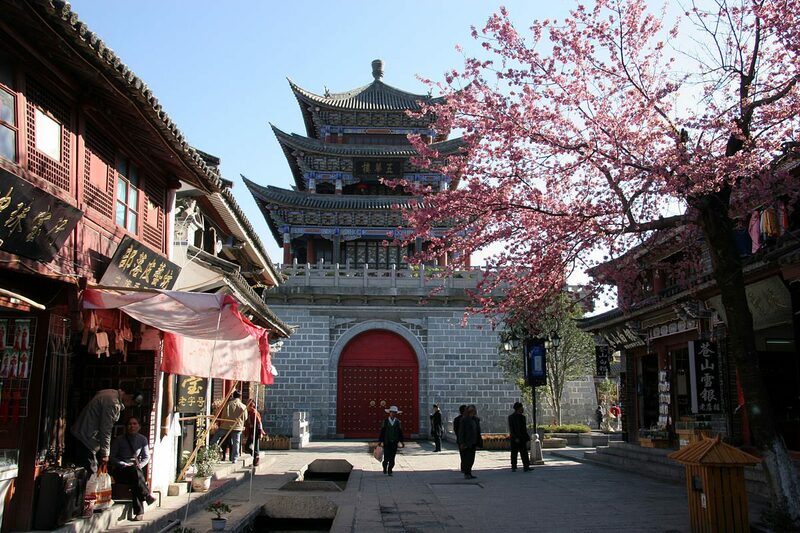 The South Gate of the old town, also called Double Crane Tower or Cheng’en Tower, has a history over 600 years and is the oldest building of Dali Old Town and become the symbol of the ancient town. Connected with the Gate is a length of city wall which offers a good place to stroll and appreciate the old town and the Cangshan Mountain in the distance. At the center of Dali Old Town, Wuhua Tower is a symbolic architecture and offers a good place to climb up for a great panoramic view of Dali Old Town, and allows you to appreciate Cangshan Mountain, Erhai Lake and Chongsheng Three Pagodas in the distance. 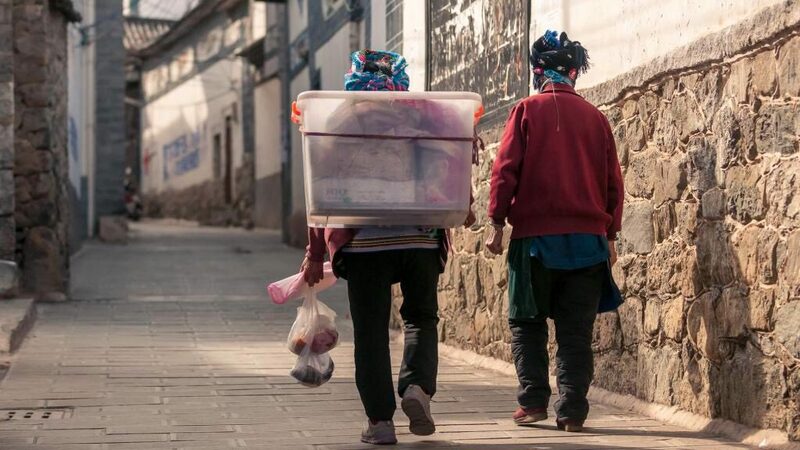 Compared to Lijiang Old Town (Dayan Gucheng), Dali Old Town is less crowded and more elegant and comfortable. Travelers can make a nice walking tour through Bai ethnic architecture stopping at shop after bar after cafe after tea shop. There are some nice temples, old courtyard home-turned-hotels, cafes, shops and bars.